Helloooooo….drool!! And the best part is that was another FREE sewalong. 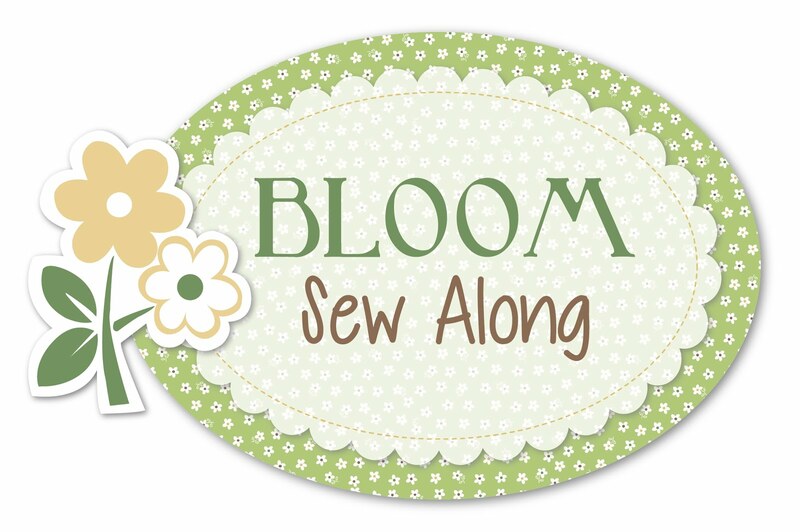 I love how Lori shares these patterns for free and all you need are the templates. With this quilt she wanted to show how you can use her templates for way more than just the quilt that she originally made with them, and she is right! 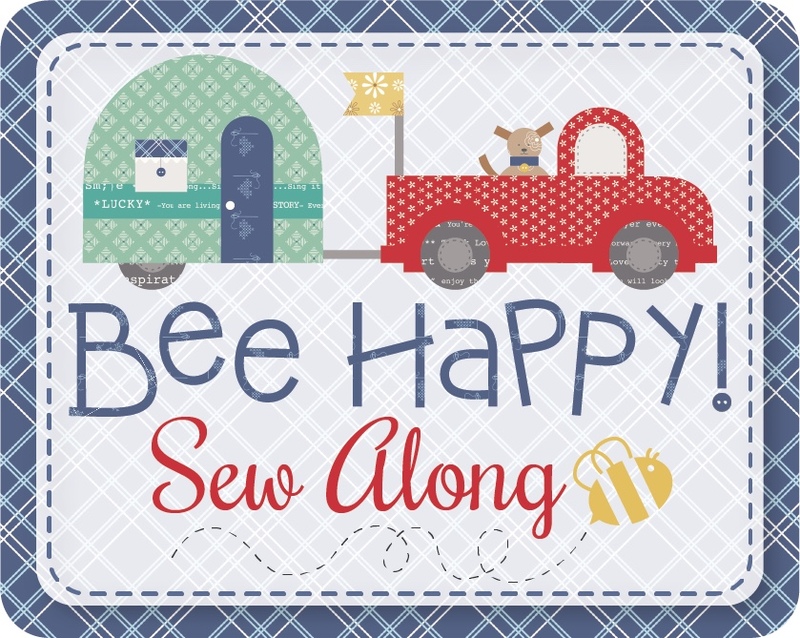 So for this quilt, we are using the BLOOM templates, the BEE HAPPY templates, the FRUIT SALAD templates, the SEW COZY CHRISTMAS templates, the AUTUMN LOVE templates, and the LET’S BAKE templates. If you don’t have all of them, I am sure you could substitute others, or make a few of the blocks twice, in different colors….be creative here. ( I have to confess that I ended up buying just one more template set~ The Fruit Salad one~ because I do have my eye on making that quilt at some point too ;), but I do not have the LET’S BAKE set so I will have to be creative too.) For the link to Lori’s blog, click here. I needed to make the next one….right away…. So then came block #2…and then I needed to make the next one……well, you get the picture. At this point I have made 6 blocks and am working on #7, and have the background for #8 ready to go. Then, when it comes time to put my quilt together, I will sew my blocks ( with batting already attached) to each other, add a backing, and then do simple straight-line quilting to hold the 3 layers together. Easy-peasy, just the way I like my quilts ;). Now, I have to admit that sometimes doing machine applique can get a bit boring. But I find that when I have all this pretty thread to choose from, that it actually makes it a fun process! This is some of my favorite thread and I will buy them in coordinating sets so that I have a wide variety of colors. For the applique I like to use a zig zag and a straight stitch. I vary the size of the zigzag depending on the size of the object…small pieces get smaller zigzags, big ones get larger zigzags. I like to use a straight stitch on the stems because they are so narrow. As you can see, I added some extra stitching on the leaves in some of the blocks. I thought they were a bit boring looking with that plain green so I used the triple stitch on my machine to add a bit of interest. These blocks are so much fun to make and I really hope you will give them a try! Even just one would make a darling pillow! I haven’t decided yet how big my quilt will become. I was just going to make one block to see if it was fun ( and it WAS! ), so now I’m thinking it might become a wall hanging. On the other hand, these blocks are so addictive that I can see me making an entire bed quilt with them! And because I’m already appliquilting them as I go, the rest of the process really won’t take that long after the blocks are all finished. Oh my, this blog post is already way longer than usual so I better just stop. Thanks for listening to me rambling on and on about my latest obsession! Next > Pssst, can I share a little secret? These blocks really are cute, might just have to work on them as time allows , I have several sets of her templates , and I love how your quilting them as you go so it will not become another ufo on the to be quilted pile. Thanks for sharing. I didn’t know about this method for QAYG – leaving off the backing til the end. How does that compare to sandiching all 3 layers. Also, do you get a lot of fuzz in your machine when sewing with the batting exposed? I love Lori Holt. Her fabrics and quilts are so cute! I have a couple of her templates. I have fabric cut out to make one of her quilts but then I kept getting involved in other stuff. I’m trying not to do that this year. I want to finish my UFO’s and start her quilt. Your quilt blocks are beautiful! I don’t think I would be able to do anything else either but make all those blocks. Thanks Kaye! Which quilt of hers are you making? You are obsessively funny! I am a fuse appliquer (that is a new word! ), too. My favorite stitch is the blanket stitch, but I do use the zig-zag for small pieces and definitely straight stitching on thin stems. Will try your batting behind to speed up the process. I did the other method and was grateful it was just on a small throw or it would still be in the UFO pile – LOL! I like this way of making the blocks. Will have to try it. What are you using to fuse down your shapes?? You really should…I think it’s a game changer ;). And I use Heat ‘n Bond lite for my fusible. Monique I quite understand why you have detoured from the UFO’s to do these blocks-they are super gorgeous. I love Lori’s patterns-so sad that to get the templates here in Australia it is very expensive as even the stores that do carry some of them still cost more than I feel right about spending. Probably because I can’t decide to only get one as I love them all-it’s too hard to decide which one I want the most! I am looking forward to seeing the rest of the blocks as you make them! I love your fabric choices by the way-they are very much the colours I would choose too! That one is cute, isn’t it?